The more than eight thousand members of the National Union of Public Workers,(NUPW) are today voting to elect a president and executive at 21 locations across the country. Incumbent President Akanni McDowall is up against three challengers for the top post in this country’s largest public sector trade union, Fabian Jones, Joy-Ann Inniss and Verrol Scott. 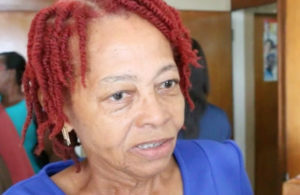 The NUPW’s Acting General Secretary, Delcia Burke, is overseeing the process with support from government’s Electoral and Boundaries Commission. Meantime, the NUPW is adopting a wait and see approach to government’s constitutional changes which place the public service under three separate commissions to oversee appointments and other personnel matters for the 16 thousand public workers. The changes include a new protective services commission responsible for all military and paramilitary agencies, including the police, prison service, customs, immigration, fire service and government security guards.